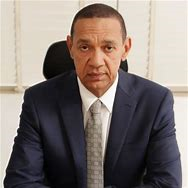 Ben Bruce, the Senator representing Bayelsa East constituency has slammed President Muhammadu Buhari over his comments that Nigerians are lazy. President Buhari at the Commonwealth Business Forum in Westminster had said many Nigerian youths hate hard work and are all waiting on oil money. This stirred reactions and backlash from all corners. One of such was a statement from the former Vice President, Atiku Abubakar stating that Nigerian youths are the greatest assets and not lazy. However, Ben-Bruce in reaction said the reflection of president Buhari in a mirror is the real definition of laziness. He wrote, “Whoever says Nigerian youths are lazy should just buy a mirror and he or she will see the real definition of laziness! 0 Response to "LOL! Buy a mirror, see the definition of Laziness – Ben Bruce blasts Buhari"